Walking into a bookstore, grabbing a magazine off the shelves, and seeing your name and images in print is nothing short of wonderful! Getting published in a fashion magazine is extremely rewarding, but it is no easy task, especially when getting started. Over the past 5 years I’ve been publishing in magazines ranging from online magazines to large internationally acclaimed publications. When I was first submitting to these magazines I had a lot of failure and rejection, but that’s just the nature of the game. This guide is intended to help increase your chances of being published and help save you time in the submission process. Here are 5 tips I’ve learned have made a HUGE difference in increasing my success rates for submitting to magazines. If it’s your first time submitting, don’t be discouraged if you don’t here back, just keep submitting. If you follow these tips, however, it will make a huge difference in your likelihood of success! One of the biggest reasons for initial rejection from a magazine is that your images do not correspond with the style of that magazine. If you shoot soft, ethereal and feminine images, than a dark and edgy magazine will certainly not be interested in what you shoot. Define your photographic style and then research magazines that share this aesthetic. Do not send mass emails to dozens of publications and expect success. In fact, if you send a mass email with dozens of people included, likely several magazines (who may have otherwise been interested in your work) may feel slighted. Defining your style, for many photographers, is not an easy task especially when you have a diverse portfolio. Start by analyzing your favorite 3-5 photographs in your portfolio. Identify common elements in the subject matter, color palette, composition or emotions these photographs elicit. Doing this helps you see the commonalities between the work you are most drawn to. If you are looking to submit a specific editorial, look carefully at the look and feel of this shoot, and submit it to appropriate publications. If you are working on getting your first editorials in a magazine, I recommend starting with online or small print magazines. A few great places to research would be ISSUU and Magcloud. Both are online publishing platforms for independent magazines. ISSUU provides the platform to give an online magazine that flip print ‘look’, whereas Magcloud also allows you to print online publications on-demand. Both of these platforms have dozens of fashion magazines appropriate for the aspiring fashion photographer. This research can be very time intensive, taking weeks or even months to start building a strong list of options. But worry not! I’m happy to help you out. 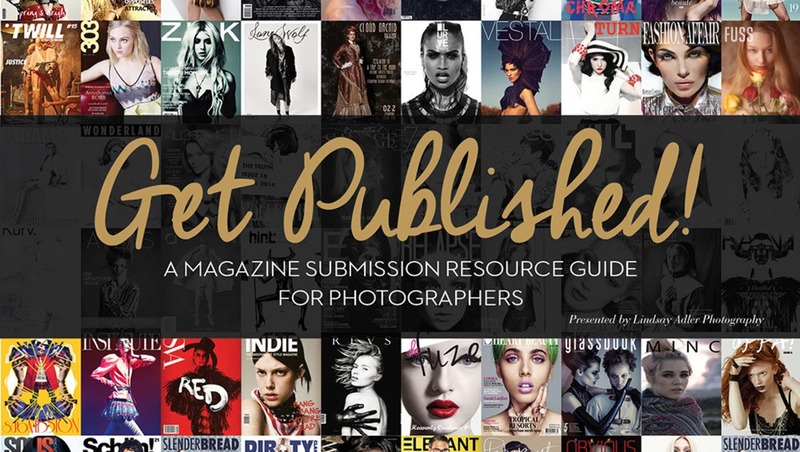 I’ve included a list of 75+ publications that accept fashion photography submissions! This will certainly get you started on your path to getting published! Be sure to research each magazine carefully first to make sure your images fit. I have found that sending editorials to the generic ‘info@’ email often yields no response, no matter how great the editorial. Instead, you need to check and see if there is a specific submissions email and/or submission guidelines. Many small to mid-sized magazines have a submissions page on their website with strict details of how all photographs should be submitted. Be sure to check this carefully first. Often if you do not follow their guidelines they will not even look at your work, even if they are a perfect fit. Don’t waste your time, and check this first. Of course, many magazines have no submission guidelines or email. What than? At that point you will want to begin researching the ‘decision makers’ at the magazine. You want the contact information of those individuals who select the editorials and photographers that the magazine features. The editor in chief and photo editor are your priority when reaching out to publications. Seek their contact information first. After that you can also look for information of a managing editor or creative art/director. These individuals may also be influencers at the publication. If you can find their emails on the magazine website, great! If not, try to determine their emails by studying the company email structure. If you can find ONE person’s email, you can usually figure out everyone else’s email based upon its structure. Once you research the influencers, however, your job is not quite done. I recommend that you try to connect with these individuals on social media; Facebook, Twitter, Instagram, or whatever network they are most active on. Find ways to comment and build a relationship with these individuals and organizations. When you do decide to send them an email with your work, now they will already be familiar with your name and more likely to take a closer look at what you have sent! A key part to success in fashion photography is networking. Your network of contacts opens up many opportunities and insights. One way to get in your target publications is to try shooting with creatives that have already been featured in that magazine. Look through the magazine and write down the hair stylist, makeup artist, and wardrobe stylists that have been part of previous editorials. Reach out to these individuals through email and social media to begin including them in your network and possibly shoot with them. If you can, propose test shoots with them or ‘spec’ editorials intended for submission to that magazine. This is certainly no guarantee that your shoot will be published, but getting to know these people means you are working with creatives that already understand the aesthetic of this magazine and likely have some of the contacts you may need. Several of my biggest magazines publications came as a result of someone on my creative team (hair, makeup, wardrobe) having recently been published in this magazine and having the appropriate contact. Not only that, when you submit your shoots to these magazines, you can reference that you are collaborating with creatives that have already been featured in their publication. This catches the attention of the editor, lends to your credibility and shows that you are already ‘part of the club’. 4. Shoot something that fits: Brands, style, type of models, upcoming themes, and more. You’ve done your research of magazines you like and the people making the editorial decisions, now it is time to shoot something to submit. This is called a ‘spec shoot’ or ‘shooting for submission’. This means you haven’t been hired to create it, but you are shooting it with the hopes of a magazine accepting it. Now you need to shoot an editorial that fits this magazine (or several magazines) in hopes of getting it published. A.Know the style of the magazine including upcoming themes and deadlines. Many magazines shoot 2-6 months in advance of publication, so be sure that your editorial fits both the upcoming theme of an issue and the time of year it will be published. C.Study the type of clothes and designers that are featured in the magazines. Some magazines include only ‘up and coming designers’, others feature high-end couture, others are open to any clothing you include. Take a look at the clothing credits that have appeared in previous issues and also the advertisers in the magazine. This will help you get an idea of the type of clothing they are interested in. D.Be mindful of the type of models they feature. If most of the models are androgynous and edgier females, than your model should have a similar feel. If all the models are soft, doe-eyed and young, than you would want to select a similar model. Magazines may love the shoot you have created, but if the model doesn’t fit they could reject it. 5. Don’t Just Say “Publish Me”! You’ve done your part so far to prepare yourself for success. You’ve defined your style, and researched magazines that fit your aesthetic. You’ve worked hard to create a striking editorial that fits the requirements, clothing and style of this magazine. Now, all you have left is the submission process. As suggested before, you definitely will want to make sure you adhere to any submission guidelines if they are listed on the site. If, however, you are simply sending an email, you’ll want to do your best to catch the editor’s attention and stand out from the crowd. If your email basically says ‘Here are some images I’d like you to publish’, this probably won’t stand out in their inbox. I recommend starting your email with something to catch the editor’s attention. 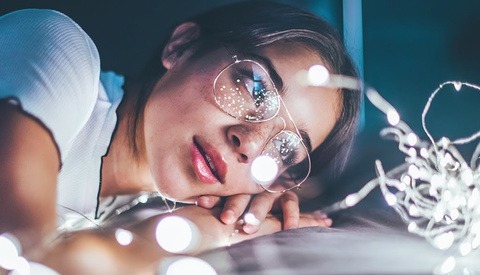 Referencing a recent editorial or feature in the magazine that caught your attention will also show the editor that you are a fan and follower of their work. Also a reference to a recent accomplishment of the editor (or person you are writing) will definitely draw their eye! Consider including an intro that shows you understand the style and goals of the publication, like referencing commonalities in the cover or understanding of their visual style. Next, your email should include a bit about the shoot, your creative team, relevant credits, and WHY this editorial is a perfect fit for that magazine. Finally, I recommend letting the editor know that if they are not interested in that particular story, that you are more than willing to create mood boards and pitch ideas for other stories you can shoot for them. If you just send photos and ask them to publish them, than the door closes if they are not interested. Leave the door to opportunities wide open by offering them other shoots specifically for their magazine. Now, get submitting! It may take awhile, but when you finally see your images grace the pages of a magazine, it will all be worth it! Click here to download a list of magazine submission contacts and all you need to start getting published today! Lindsay Adler is a NYC based fashion photography and world traveling educator. Visit her site at http://www.lindsayadlerphotography.com and http://store.lindsayadlerphotography.com for exclusive content. Great tips and suggestions Lindsay! You're my hero! Thank you for these great tips! The research part is crucial, and the content here illustrates the main steps very well. Knowledge bomb. Thanks for the info and resource Lindsay! Thanks guys! Glad I could help! I'm all about helping each other grow and succeed! Brilliant resource, thanks for taking the team to collate this Linds! Hi Lindsay, love your amazing work! Watched your tutorials on CreativeLive! The best! Love these tips! Really really great! it is a really good article Lindsay, thanks !! Some advice for people starting out, make deals with (good) modeling agencies to get girls for a shoot but ask to pay them later if it is a shoot you can sell, or work with aspiring models because it is interesting for their portfolio. Wondering if I can get some experienced insight on rookie submission questions. When doing photo submissions, is a write-up required? Or does the magazine usually do a write-up to match your images, or more use your images to complement their write up. Feels weird sending a bunch of images alone. Finally, I should refrain from posting images from the submission on my social media until it has been published is my understanding? How many magazines should one simultaneously submit to, and once one magazine accepts I should notify the other magazines I submitted to? Thanks.